With over 50 years of combined legal experience, the attorneys of Simpson Law Group have built a stellar reputation throughout Southern California for handling all types of family law matters - from complex, high-stakes divorces and custody battles to straightforward, uncontested divorces - with the competence, commitment, and compassion necessary to help their clients build a better tomorrow while minimizing stress, delay, and excessive cost. What separates Simpson Law Group from other lawyers practicing in the family law field is our ability to combine sophisticated legal strategies and approaches to complex and delicate situations with a level of client service which gives the men and women we represent the sense of well-being that comes with knowing that their most stressful life situations are being treated with both skill and grace. 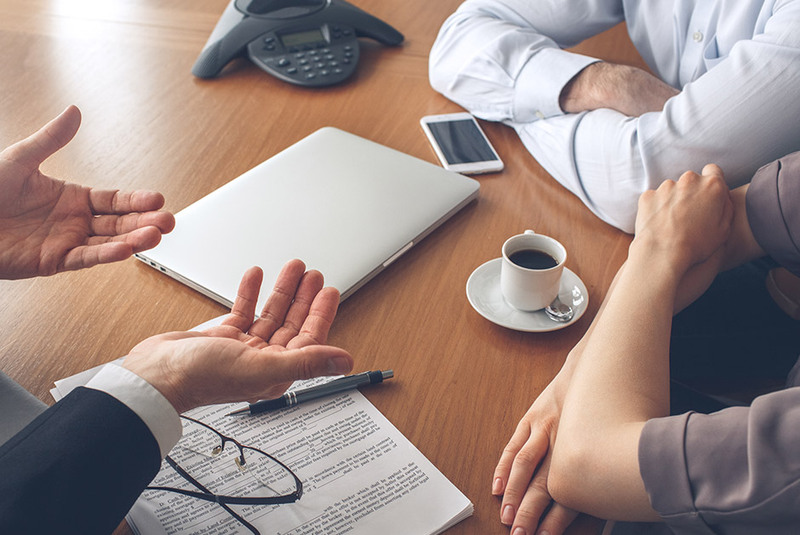 From our office in Glendale, the family law attorneys of Simpson Law Group represent individuals in Pasadena, the San Gabriel Valley, Los Angeles, Orange County, and the surrounding areas. Our attorneys have achieved success for clients inside and outside of the courtroom in all types of family law matters. We are committed to always placing the long-term interests and well-being of our clients as one of our top priorities. We know the emotional and financial stresses our clients face throughout family law proceedings, and we approach every matter with the utmost compassion and care. I’d like to thank you for all you’ve done for me. Words can’t express the depth of gratitude I feel. This has undoubtedly been the most difficult time of my life and you have supported me along the journey. Worth every penny! Tom Simpson and his office of attorneys and support staff did a great job handling my divorce case. When a contentious issue came up, they were available to calm my fears and talk me through it. Sometimes you have to do a cost-benefit analysis, and sometimes it’s not worth fighting every fight. I saved a lot of money focusing on what mattered, instead of smaller issues that made me crazy. It was comforting to know that Tom would give it to me straight and help me make the right choices in moving through my case. I think Tom and his attorneys would be great for any case, small, medium or large. They’ve got the experience and knowledge to go up against anybody. This really makes the difference when negotiations get tense. They settled my case and helped me move on with my life. I can’t thank them enough! Mr. Simpson is one of a handful of family law attorneys in Los Angeles to whom I refer complex matters. For over forty years, I have opposed and co-counseled with him. He has the professional bearing, experience, and knowledge to advocate any family law issue vigorously, ethically, and responsibly. He is known in the community for his integrity and candor as well as his firm negotiating and able litigating. He is a mature representative in contentious matters and an authoritative leader in complex disputes. He is known and respected by both his colleagues and judicial officers. The “T” Team… Tyrrell & Tom. I appreciate them both very much. The attention to detail was impeccable, always keeping me up to date on the latest developments in my case. I also valued the understanding and compassion they showed me. In my opinion, by far the best representation you can hire! There are no winners or losers in a California divorce, the most you can hope for is your 50% and your freedom. It is a bonus and a blessing when you find family law lawyers like Tom and Lara. These are lawyers you can trust; they know the law, they listen to you, and they have your back at all times. We appreciate all of the hard work and dedication they have put in this case, moving it in the direction toward finalizing this divorce. Thank you Tom and Lara! You are simply the best!